Chaos on Deponia also joins the Origin Access Vault. Even if BioWare’s Anthem hasn’t proven the best reason to buy an Origin Access Premier subscription, the Basic version of the service still has some great offerings. 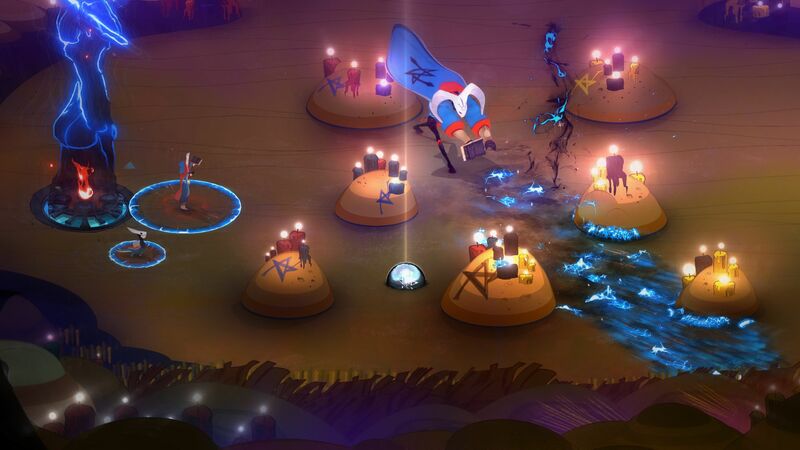 Take Supergiant Games’ Pyre, for instance. The sports/RPG/adventure hybrid has joined the Origin Access Vault and can be played in full as long as you’re a subscriber. You can check out GamingBolt’s official review here to decide if it’s worth the time. But that’s not all. LucasArts’ cult classic Star Wars Jedi Knight: Dark Forces 2 and Star Wars Jedi Knight 2: Jedi Outcast are also available on Origin Access. Both titles are first person shooters focusing on Kyle Katarn as he wrestles with the Light and Dark aspects of the Force. Finally, Chaos on Deponia, the sequel to the adventure game Deponia, is also available to play. The title sees Rufus continuing his plans to escape Deponia, and received praised for its writing and pacing at launch. Gameplay is pretty much identical to the previous title, so be warned. Origin Access Basic costs $5 per month or $30 per year, but if you want full access to games like Anthem and Battlefield 5, you’ll need Origin Access Premier. That costs $15 per month or $100 per year.